Happy first day of Fall, everybody! This season is already confusing me. I always thought that the new seasons started on the 21st of the month. Apparently that is not the case, which I found out on Sunday. So then I thought that yesterday was the first day of fall. Technically I think it kind of was (I still have no idea), but according to a LOT of people, I was wrong again. But today is definitely Fall. For real. Now that I know for sure, here are some things I want to do over the next few months! 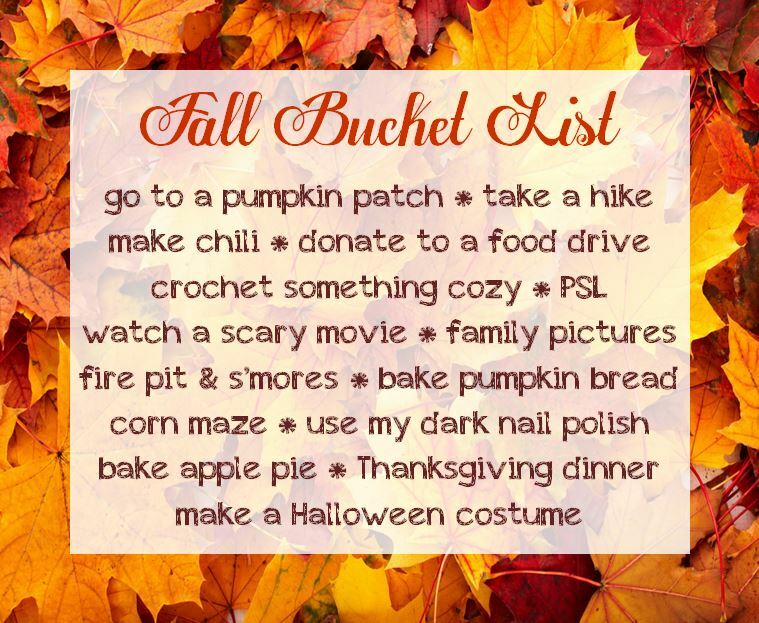 Nothing too difficult here, just a lot of fun activities to ensure that I have fun in the best season ever! I guess I should go get started! « Have You Been to Nickel Creek?